Nehemiah in his prayer was asking God to bless him when he would soon speak to the king of Persia about the matter of the sorry state of Jerusalem’s walls…..and its people. 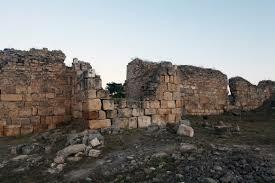 Nehemiah looked around and rather than just talking about it , he was led by God to do something about it! Nehemiah knew that without God’s intervention, he could do nothing about it. God takes great delight when we pray asking for His guidance and help! This becomes even more true when our focus is zeroed in on building up His people, and His kingdom. I really liked the order of this passage, because I believe it can serve as a template for all of us in our daily jobs, and interaction with God’s people and people in general. First off, God opened Nehemiah’s eyes to see what God sees. I really believe that it is God’s heart to make things that were run down, broken, new again. He just seems to really love this role of restoration; taking, in this case, things these broken down walls, that were no longer serving the purpose for which they were built, and fix them, giving it the purpose of which it was made for. What kind of person is the one who God opens their eyes to see what He sees? It shows clearly here that God uses people, but not just anyone. He works through people who believe in Him wholeheartedly. Nehemiah was this kind of believer. He was a servant of God, and as a servant, he needed to have that characteristic that what God showed him, would require an action; not in the man but in his God. 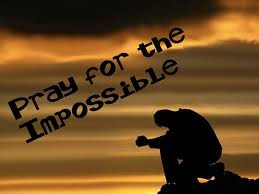 When God showed him what needed to be done, Nehemiah, summed it up, and recognized he didn’t have the no how of where to start this project of rebuilding miles of broken down walls; so he comes to God and pray’s , asking God to help him do what seemed impossible. In his prayer, Nehemiah didn’t bring God a detailed list of a ‘go do‘ list; using prayer to make God his servant. Instead, Nehemiah’s heart was burning with the needs of God’s people. And so God will give his servant the desire of his heart. A man or woman of prayer really needs a heart for God’s people. The rest of the whole book of Nehemiah is proof that God loves His children to pray when the desires of their heart are focused on God’s people and His will. And so, Nehemiah is recorded here as praying with a heart to do something! “O Lord, I pray, please let Your ear be attentive to the prayer of Your servant, and to the prayer of Your servants who desire to fear Your name; and let Your servant prosper this day, I pray, and grant him mercy in the sight of this man.” For I was the king’s cupbearer. Definitely a prayer of a man of action, NOT another Sideline Critic. Notice that Nehemiah didn’t pray, “God make it all better” or “God can You get someone else to move on this problem?” Instead, Nehemiah’s prayer was, “God…..use ME to make it better”. In other words, when God opens our eyes to a major project He desires to do, don’t get overwhelmed to the point where you give up on it and pray for someone else to do it. Be reminded, that it is God Himself who is desiring to do the work, not us. If there is any sense of being overwhelmed, let it rest that we, after acknowledgment of this vision by praying, that God will also reveal to us whatever ‘specific burden’ will be assigned to us to co-labor with Him that He receive the glory unto His great Name. Maybe today, God has opened your eyes and given you a vision. What do you think you need to do with it? Acknowledge before God first, before anyone else knows, in prayer before God what He has shown you. Then, in prayer, praise Him, remind yourself of other huge projects you have personally seen Him accomplish, and tell Him, that you are devoted into His service, and that you are ready, to be His personal cupbearer. Remember, He “uses the foolish things of this world to confound the wise” Be prepared through prayer to see God perform miracles, unto His Name.